The festive season is finally upon us, and for companies in the retail industry, this short period over Christmas has become the most profitable of the year. According to Statista and the National Retail Federation the holiday season accounts for approximately 20% of the retail industry’s annual sales and as much as 30% of an individual retailer’s total sales. Clearly, the holiday season is particularly important for the retail industry. In today’s multichannel world, retailers need to use every available platform to improve customer engagement and enhance the customer experience to maximize sales over the Christmas period. With the development of mobile technology and the capabilities of smartphones, the face of the retail industry has changed dramatically over the last few years. 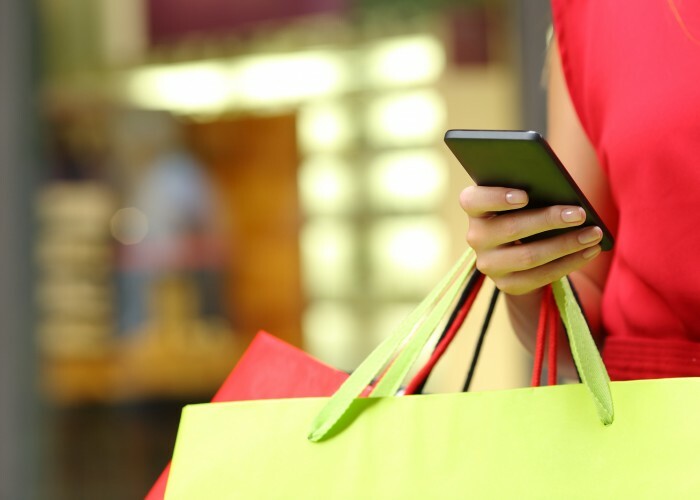 As the boundaries between virtual and physical stores continue to blur, online retail is flourishing as consumers embrace the convenience that comes with shopping from their mobile phones. Mobile phones have rapidly become an essential tool for consumers. Whether comparing products and prices, reading product reviews, or making purchases, consumers’ mobile phones are becoming an integral component of the retail experience. In this mobile landscape, SMS messaging campaigns offer a fantastic way of engaging existing retail clients, attracting new consumers, and retaining or upselling current customers. With SMS messaging providing an impressive 98 percent open rate compared to a 20 per cent open rate with email messages, 90 percent of SMS messages are also read within three minutes of delivery. While email marketing obviously has its merits, it seems that a message is much more likely to be received and viewed if it’s delivered via SMS. Since consumers clearly prefer SMS messages, SMS marketing presents a huge opportunity for retail marketers to increase sales in the Christmas period by leveraging mobile marketing. Sending an SMS to welcome a new customer is an effective way of showing interest and contributes to a high level of customer service. More particularly, If a customer has signed up to an online newsletter or opted in to a SMS marketing list, it’s good practice to let them know that their details have been received and their interest in the company is appreciated. Promotional SMS messages are a strong and effective way of getting repeat visits from customers during the Christmas period. You can ensure offers are customised to attract a specific audience and encourage them to engage with your website or sign-up to a loyalty scheme. You can incorporate links in SMS messages to encourage the customer to look at your site and view seasonal promotions, new products and blogs. Smartphone capabilities can effectively ensure that customers are simply a text and a click away from viewing your site. Contacting customers with an SMS text to let them know that their order has been received is another significant way of providing exemplary customer service. In addition, it’s helpful for customers to know the status of their order, estimated delivery times and when their package is on the way.